Dubai's flagship airline Emirates is looking to expand its cabin crew team. In an Instagram post, the airline said: "We're looking to expand our award-winning, multinational cabin crew team." Interested applicants are invited to attend the airline's Open Days all over the world from August - September 2018. According to their website, the airline will be hosting several open days in countries such as Canada, Germany, France, Oman and the United States. 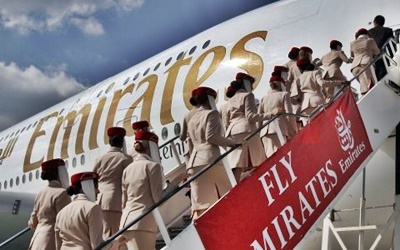 The cabin crew will be paid approximately Dh9,500 per month; with a basic pay of Dh4,260 per month. Furnished accommodation is also provided free of charge and is inclusive of water, electricity and TV. The accommodations are located in over 50 buildings around Dubai. Other perks include layover expenses, concessional travel and, 30 days of calendar leave per year, among others.